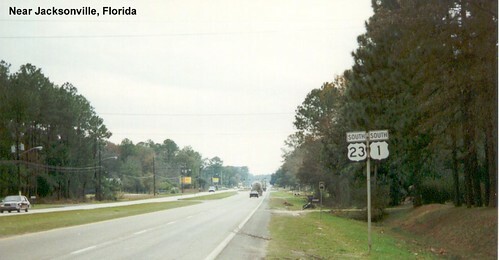 Routes 1 and 23 are multiplexed as they cross the St. Marys River from Georgia into Florida. 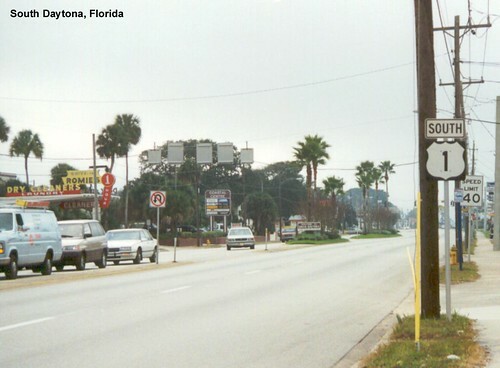 There were some old abandoned motels just across the border from the days before the Interstates, when this was still a main route into Florida. 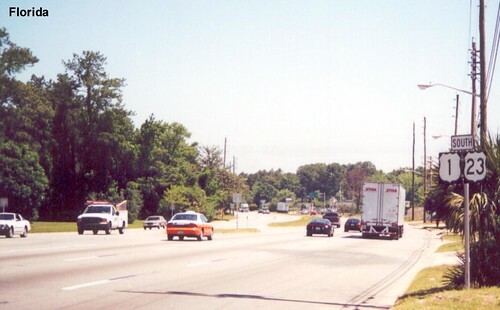 The US 1 and US 23 multiplex continues south to Jacksonville. 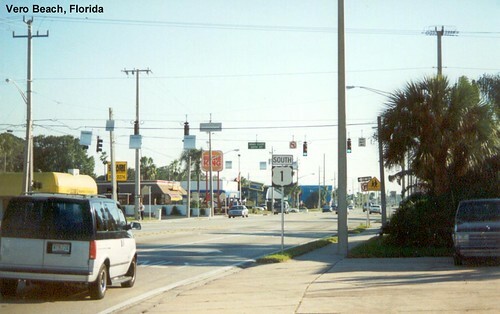 US 1 and US 23 continue as a four-lane divided highway. A police officer pulled up behind me while I was taking this photo. He was just checking if everything was OK, but it startled me when I turned and saw him. 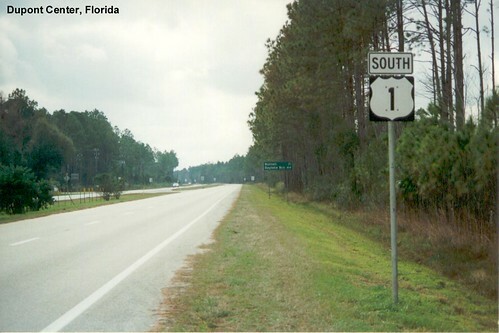 Although US 1 remains a four-lane divided highway, since it is now paralleled by I-95 from Jacksonville to Miami it now carries mostly local traffic. 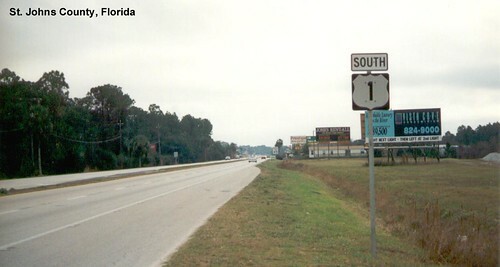 US 1 entering South Daytona. The morning fog lifts while we ride through South Titusville. A rare shot of a colored US highway shield. 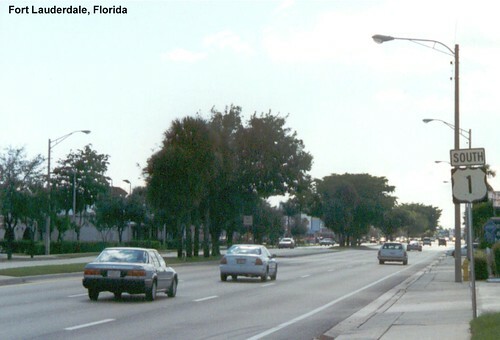 On my first trip on US 1 these colored shields where everywhere in Florida, put when I took these pictures a few years later most had been replaced. 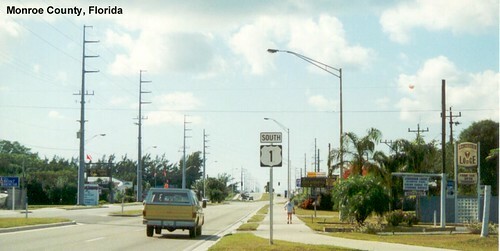 US 1 in Vero Beach. Seemingly never-ending commercial development as we continue down US 1 through Saint Lucie County. 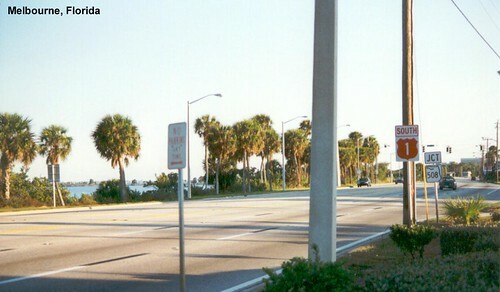 The scene remains pretty much the same as US 1 heads through West Palm Beach toward Miami. 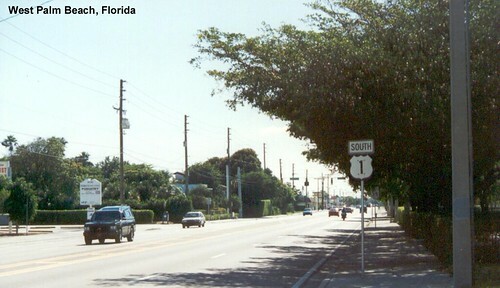 A divided US 1 in Fort Lauderdale. 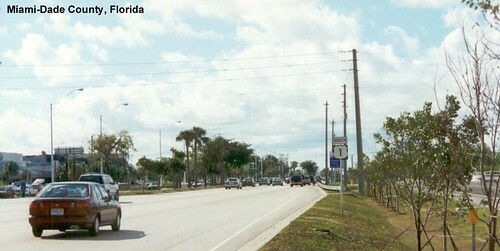 Traffic increases as US 1 continues its journey south through Miami-Dade County. 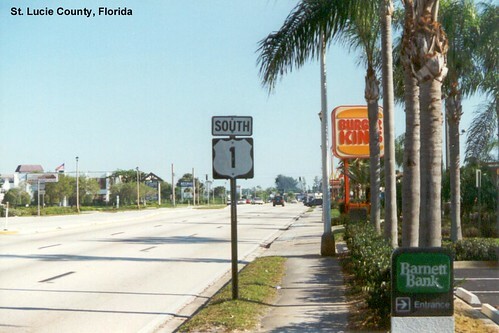 US 1 as a four-lane divided highway through Miami-Dade County. 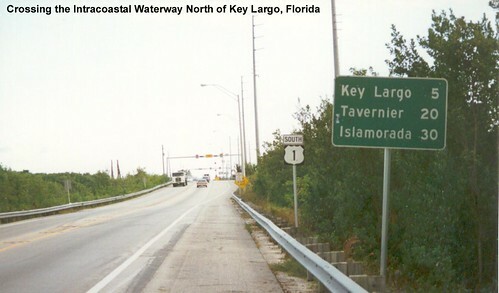 US 1 drops to two lanes as we cross the Intracoastal Waterway and head toward Key Largo. 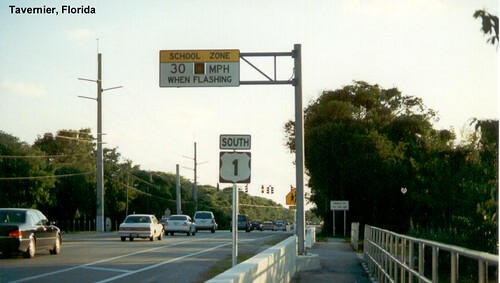 A school zone on US 1 in Tavernier. I will say that Florida drivers take their school zones very seriously. Of course it helps that they're only active for a short time each day. 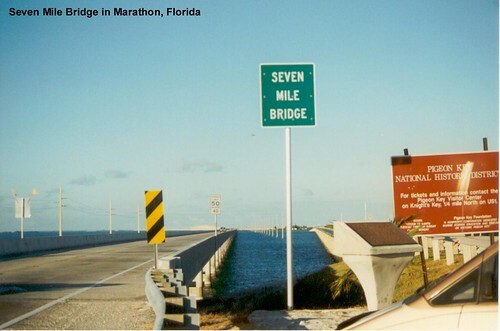 The beginning of the Seven Mile Bridge on US 1. I enjoyed looking at the old US 1 bridges through the Keys while driving on the new bridges. 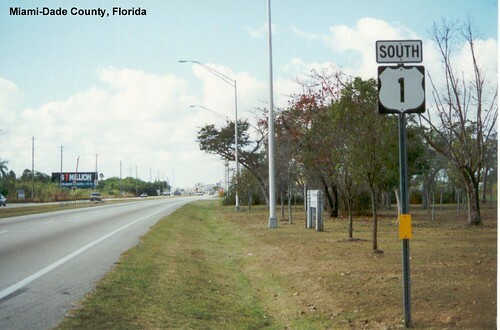 More of two-lane US 1 in Monroe County. 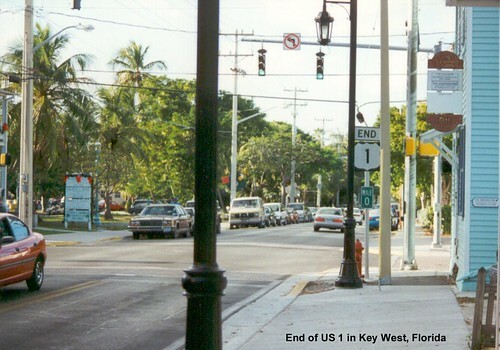 US 1 in Key West. Parking in Key West was a pain, so while I drove to the end of US 1, I then found parking and walked back to take these pictures. 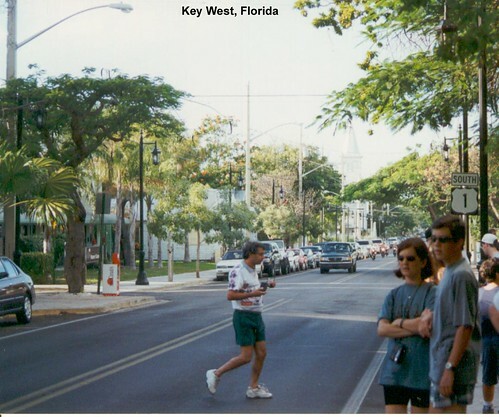 Key West is darn pretty, but spending the night there was expensive for someone like me travelling on a budget. 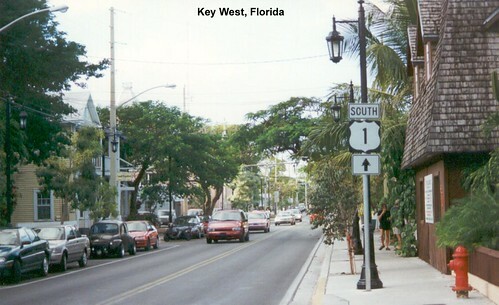 The southern end of US 1 in Key West. On my first trip this was still a red shield. After completing the drive I calculated that I had averaged 35 miles per hour for the whole trip down US 1 from Maine.